The fact that I blog, have two children and Chris is a student means that we have countless sheets of paper around our home; worksheets, appointment letters, blog related printouts, and storing them where we'd be able to find them easy was a huge faff. Shoplet UK sell a wide range of Office Stationary and I was pleased to be offered the change to try some out. I received an A4 Storage Box (£7.41) and an A4 Paper File (£29.95 per pack of 10). 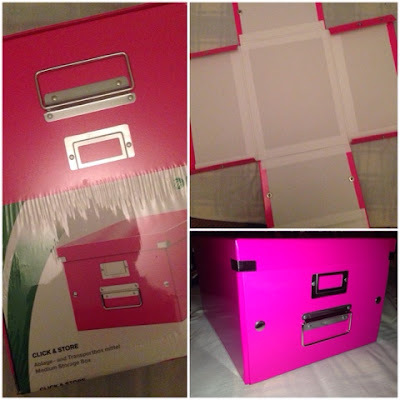 The A4 Storage Box I received is a gorgeous hot pink, perfect for my inner girly girl (it is also available in blue, orange, green, white and black). It's collapsible so it's easily stored when not in use. I found that the buttons to build were lined up correctly too. The A4 pages fit perfectly with a little bit of give so I have no worries about anything getting dog-eared. It's made from wood and has sturdy metal handles for easy transportation. There is also a label holder so you know what it contains without having to go through it. The A4 Lever Arch Files are great for storing papers that you need to flick through. 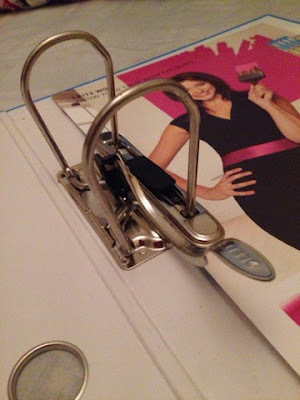 Simply punch holes in your sheet and slot them in. Again, A4's pages fit perfectly with a little bit of give and the file itself holds around 600 sheets. 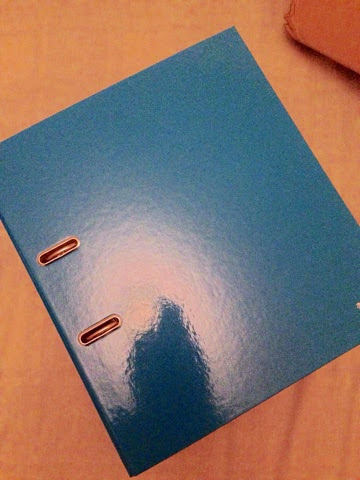 I received a blue folder but they are also available in orange, green, white and black. Both of these items are very lightweight and are a great way to store your files whilst injecting a bit of colour to your office.